This study was conducted in order to evaluate a novel risk stratification model using dual-energy CT (DECT) texture analysis of head and neck squamous cell carcinoma (HNSCC) with machine learning to (1) predict associated cervical lymphadenopathy and (2) compare the accuracy of spectral versus single-energy (65 keV) texture evaluation for endpoint prediction. Eighty-seven patients with HNSCC were evaluated. Texture feature extraction was performed on virtual monochromatic images (VMIs) at 65 keV alone or different sets of multi-energy VMIs ranging from 40 to 140 keV, in addition to iodine material decomposition maps and other clinical information. Random forests (RF) models were constructed for outcome prediction with internal cross-validation in addition to the use of separate randomly selected training (70%) and testing (30%) sets. Accuracy, sensitivity, specificity, positive predictive value (PPV), and negative predictive value (NPV) were determined for predicting positive versus negative nodal status in the neck. Depending on the model used and subset of patients evaluated, an accuracy, sensitivity, specificity, PPV, and NPV of up to 88, 100, 67, 83, and 100%, respectively, could be achieved using multi-energy texture analysis. Texture evaluation of VMIs at 65 keV alone or in combination with only iodine maps had a much lower accuracy. Multi-energy DECT texture analysis of HNSCC is superior to texture analysis of 65 keV VMIs and iodine maps alone and can be used to predict cervical nodal metastases with relatively high accuracy, providing information not currently available by expert evaluation of the primary tumor alone. • Texture features of HNSCC tumor are predictive of nodal status. • Multi-energy texture analysis is superior to analysis of datasets at a single energy. 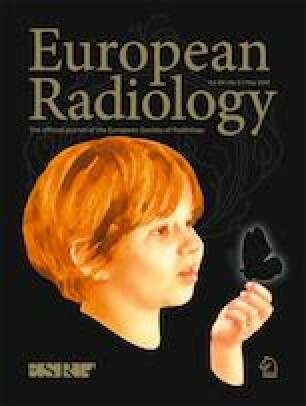 • Dual-energy CT texture analysis with machine learning can enhance noninvasive diagnostic tumor evaluation. The online version of this article ( https://doi.org/10.1007/s00330-019-06159-y) contains supplementary material, which is available to authorized users. This work was partly supported by a grant from the Rossy Cancer Network. R.F. is a clinical research scholar supported by the FRQS (Fonds de recherche en santé du Québec). The scientific guarantor of this publication is R. Forghani. The authors of this manuscript declare relationships with the following companies: R.F. has acted as consultant and speaker for GE Healthcare and is a founding partner and stockholder of 4Intel Inc. B.F. is a founding partner and stockholder of 4Intel Inc.
B.F. has significant statistical and informatics expertise and performed the mathematical and statistical analyses. Ethics approval was obtained by the Institutional Review Board of the Jewish General Hospital (CIUSSS West-Central Montreal).